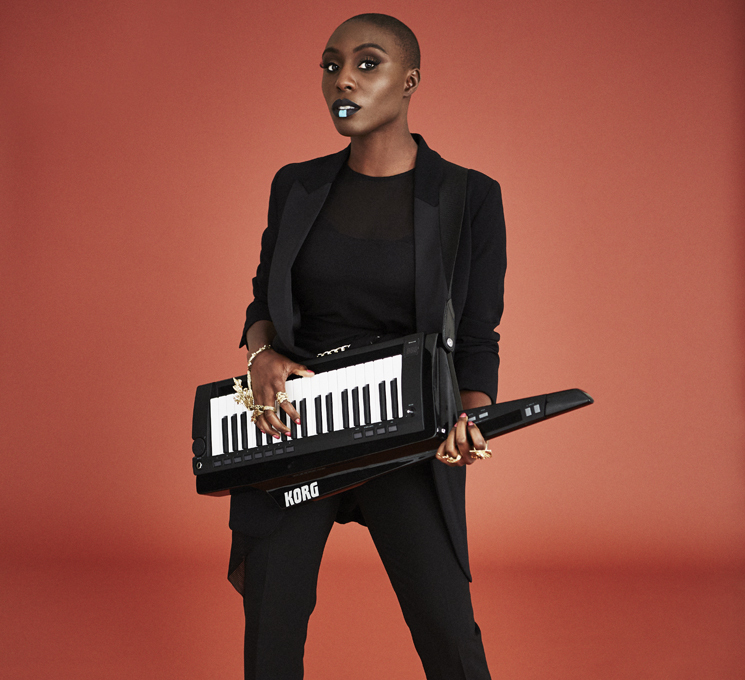 For Laura Mvula, pop-soul album The Dreaming Room is both her new 12-track record and current state of mind. The Birmingham, UK singer-songwriter (with classically trained vocals that have drawn comparisons to Billie Holiday and Nina Simone) has experienced a lot in a short span. Since 2013's superlative Steve Brown-produced Sing to the Moon — an entrancing work of orchestral soul, jazz, pop and gospel-influenced sounds — life for the former supply teacher was a whirlwind of hit singles and steady tour dates, punctuated by a crowd-pleasing appearance at Glastonbury. But success was a discomforting cargo. Self-doubt, shyness and stage fright were constants in her life. A confluence of events — her parents' divorce, the impending dissolution of her own marriage — combined with escalating, debilitating panic attacks tested her resolve to continue as an artist. Formally diagnosed with clinical depression, Mvula is managing and moving on via therapy. Coming clean and going public with her mental health issues was challenging but the right thing to do, she says. "It feels natural and right for me, the difference between being private and being fair," she offers. And there's power in being forthright: "Part of the power of the mind is that you think you're absolutely alone. I'm proud to be part of the team that's about tearing that down. Saying, 'Here I am.'" The Dreaming Room is delightfully subversive, bursting with sounds laced with effervescent elements of soul, pop, rock and Afrobeat. Working with Miles Davis collaborator John Scofield, funk guitar guru Nile Rodgers and the London Symphony Orchestra, the album is a disorienting dream. Tracks, from the heavenly hymn "Show Me Love" to the frenetic funk of "Phenomenal Woman," are abstract, allegorical, and uplift with sensations for the conscious mind to contemplate. Creating the album was cathartic and also "terrifying" in a way, notes the 30-year-old. "The world of collaboration was new to me. It was a new creative experience," she says. "It took a minute to find the new language; it was another colour to my personality." At the moment, she's focused on artistic expression and a positive well-being, compared to being concerned with any commercial considerations. That will come in the sureness of time, she explains. "Things that are really treasured pieces of art just don't make sense until long after," she says. "It took everything to make this record. That's why it's a success to me."